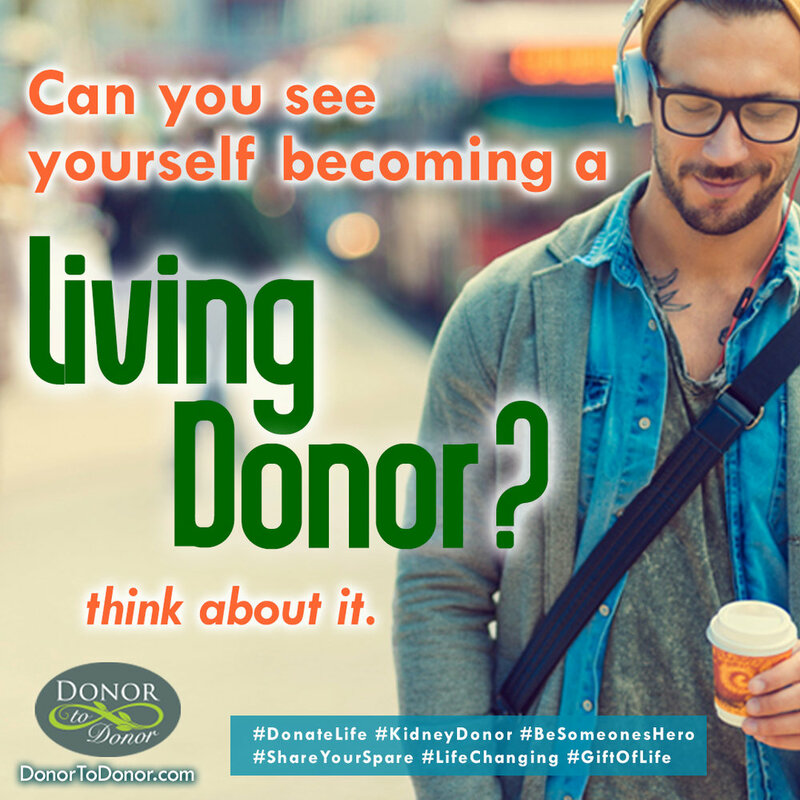 Donor to Donor is a foundation devoted to creating awareness of the kidney crisis in this country, to help patients in need of a kidney to find a donor, and to help people interested in becoming a living donor to do so as effectively as possible. You've found our website, please visit our FaceBook page too: https://www.facebook.com/DonorToDonor/. 1) We expect that a fairly complete directory of NDD’s in this country will be of interest to researchers. The questions are designed to provide a minimal amount of information in this regard, with further participation in a given research project by each NDD on an opt-in basis. 2) NDD’s are a unique sub-category of organ donors. It is our desire to see that hospitals conduct their transplant center practices with the best interest of the donors in the forefront. NDD’s have a unique perspective on some of these matters and we believe that a collective action by this group, on an opt-in basis, may help ensure those best practices. 3) At any one time, there are a number of state and federal legislative initiatives pending. We would like to be able to add the weight of the NDD community to the organizations which are leading this effort in the various legislatures.